How can we help our players to not be afraid? Call it what you want: nerves, anxiety, pressure, butterflies or apprehension. The truth is a lot of young players in a lot of sports are afraid to play. Why is that? What is it? There are a lot of terms out there but they all mean the same thing. What are they afraid of and how can you combat it? As you read this you can start to think of how this also applies in a classroom for students. Some thoughts below. All don't apply to all children. Some don't apply to any children. But all are easily visible if you hang around enough teams. This would be a direct result of how much emphasis a coach, parents or situation puts on winning. If you want to see this gone bad, go check out a Novice AAA hockey game in Ontario. Parents are yelling, benches are shortened and goalies are pulled in the name of the scoreboard. For soccer in Ontario, the threat of relegation and promise of promotion drive the win/loss mentality. Top soccer countries? No scores or tables at the young ages. LTPD in Canada is bringing in the same thinking. But it's not all the system's fault. You, as the coach, have to temper importance on the score to your players. Easier said than done if where you play does not follow that philosophy. Fear of not being accepted. Teams are groups of human beings and social acceptance is a part of the equation. If you pay as much attention to your weakest player as you do your best player, you can cure this problem in one shot. Cheering, encouragement, respect, patience and love make universal acceptance possible. Don't embarrass one in front of the rest. If somebody is struggling with something, set them up to succeed in front of their peers. Fear of their coach not liking/wanting them. The players on your roster are all different. Get to know them and you will learn what makes them tick. Do what you can to make them all feel like a million bucks and happy they came. Let them know, publicly, that you cared enough to remember they ran a cross-country race that day, or a birthday, saw their picture in the paper or any good news you've heard. A smile or kind word goes a long way with people. Be careful how you criticize and watch your body language. With younger players, a poorly chosen phrase, emphasizing the wrong word in a sentence or your body language can change the intended purpose of the message. With the wrong player on the edge, it can ruin a season. Try this. Repeat the phrase "That was a nice play". Each time change the word you emphasize, how you say it and play around with your body language. You can go from praise to sarcasm to criticism to public humility by playing around with the same four words. Body language includes where you look, your facial expression, your posture, where your hands are and how you're dressed. Expectations too much to handle. There are times when an entire team (and parents) are depending on the efforts of one player. And the kid knows it. There have been times where I've seen that one kid, in the first five minutes, get sick, hurt, frustrated and/or emotionally breakdown. I've seen parents cheer in weird ways pretty much letting that boy know he's letting them down. Or opposing parents cheering against him, wanting him to fail. Expectations are dangerous when laid on too heavily. Even professionals can fall victim to heavy expectations. For younger children, not having familiar faces nearby. The Active Start stage of LTPD involves having family close to the player, even on the field. Impressing and pleasing somebody you love is very high on a child's priority list. Have you ever seen a child have a "career" game because their grandparents were at the field? The people who make a child comfortable are a big part of the solution for getting them past any anxieties. Old school types would say "Keep the parents away as they are a problem" but research supports the positive effect of parents being present. As they get older, involve parents in team support roles such as organizing parties, game day duties, etc. Fear of failing or not knowing what to do. There is a difference between losing and failing. Nobody wants to fail in front of their friends or family, even if the team won. Walking into a game imagining how many things can go wrong is a terrible feeling. Giving all players formal game experience makes them more comfortable with being on the field. Rehearse and introduce as many situations as possible at training and small sided games so it's not a completely new experience in a game. Provide useful and intelligent information if their decision doesn't work and encourage them to try it again, and point out what was good about their decision. This takes time and patience on your part but will pay off. Fear not not being able to execute after their decision. The only cure for improved technique is effective coaching and repetition. Competence at a variety of techniques removes one complete layer of worries from a player. The more techniques they have in their tool-belt, the more options they can and will consider. Every technique not mastered represents a set of ideas they will not consider in a game. And not having good technique means they can't execute your tactics, possibly fueling your anxiety level and chipping away at the previous points. People are not successful because they are confident, they are confident because they've had success. Make sure your training sessions allow your players to succeed so they are not afraid to expand on what they've learned. Have you ever seen a successful lower level team soundly beat a struggling higher level team at the same age group? It happens all the time. The lower level team walked on the field expecting to win. The same translates down to the player level. Coach John Wooden was a legend at UCLA for US college basketball success. Legendary UCLA and NBA centre Bill Walton often said the games were a breeze after practicing/competing with his fellow Bruins. Making training more difficult than games is not a new idea. If your approach is right and the group suitable, it could turn your game into a reward for hard work at training. Work them hard, work them smart, work them all, and let them play. If they are not wanting to express themselves in games, adjust your approach accordingly. For their sake, not yours. I've been told by parents that they appreciate my approach with their children, but I know myself that there were occasions where I was less than "OK" when it came to making them comfortable . A few times I've gotten in my car with that terrible feeling in my stomach after soccer. Most times I feel good, but I am human, and so are you. Reflect on your sessions and catch yourself when you slip and come back better net time, for each player as well as the team. The equation is simple, but the execution is not always easy. Work hard to keep your players interested and confident and enjoy watching them enjoy themselves and succeeding on the field. What is your off-season plan, as a coach? In sports, the off-season has become a science all in itself. As a coach, how will you spend your off-season? When in-season, we are so busy and focused on our teams and competition, it's difficult to step back for review or find time to get involved in any kind of personal or professional development. So when the off season arrives, how do you spend it? There is no 100% right and wrong answer that is in line with any coaching manual. For some coaches in certain situations, doing nothing, resting or going fishing is what's needed. And that's OK. But becoming a better coach will require you to invest some time. At the very least, if you are in Canada, you should use the time to become extremely well versed in LTPD. Your age, level of coaching, in-season time and travel commitment, club situation and personal goals all affect your direction. 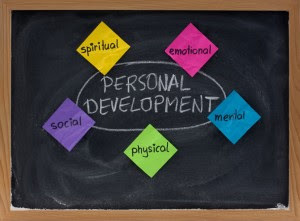 If your coaching is a 12-month arrangement, then you need to make the time for personal development. There is another choice you need to make. How much contact will you keep with your players? Will you give them time away from you to do what they want? Did you give them a plan? This is a whole different topic from their point of view, but very related from your point of view. If your off-season plan delivers a rejuvinated coach to your team when you start your pre-season, then you made the right decision. If I can offer a tip that helps me get more from my off-season activities: make sure you include activities or literature that is NOT directly soccer related. There is a lot to learn out there, and it's not always taught by the so called "soccer people".